Zoran Ferić (Zagreb, 1961) graduated in Croatian Language and Literature at the University of Zagreb. He is one of the most widely read contemporary Croatian writers. His second short story collection An Angel in Offside, published in 2000, received the prestigious Ksaver Šandor Gjalski Award and the Jutarnji List Award for the best work of prose fiction. For his book Walt Disney’s Mousetrap he received the Dekada Prize for best fiction written in the previous decade. 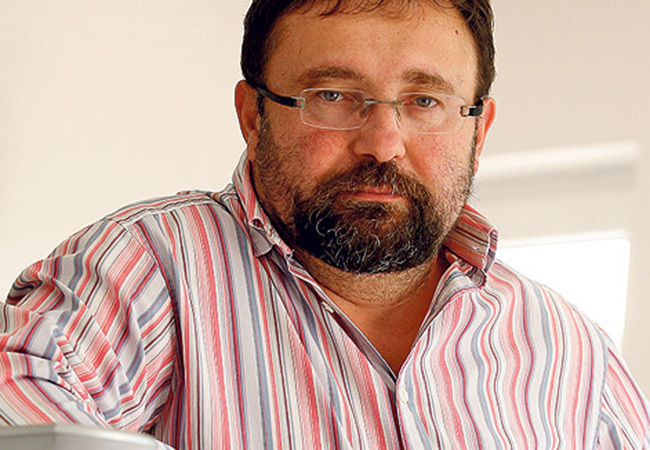 His novel The Maya Calendar received several awards: Jutarnji List Award for best work of prose fiction in 2011, annual Vladimir Nazor Award and Kiklop Award for best novel of the year. His works have been into English, German, Polish, Ukrainian, Slovenian, Italian, Hungarian, Slovakian and Spanish. He lives in Zagreb where he teaches Croatian literature at a high school.